Please Lord, guide and guard my sister for a job. Jesus, she is jobless...do not forsake her. Let her find her job soon with the airlines or aviation industry. Please Lord help my Mom and Dad, give them peace, love and happiness. Always protect them. Jesus esp. Mom, recover her from her health. Lord, I surrender my Job. Going through some difficult with Owners representative. Lord, he will be here with us from 10th May to 20th May. 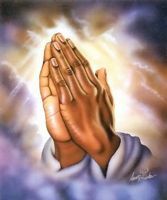 Please Lord protect me and guide me. I pray for my sister, bro in law and their child. Surrender all their intentions at your feet.